I am a pregnancy antenatal yoga teacher and discovered Hypnobirthing through my pregnancy yoga mums. I find teaching KG Hypnobirthing very rewarding and love teaching it to parents. It is a comprehensive, complete birthing course for all births. It gives parents the oppotunity to have a calm and gentle birth. The Hypnobirthing course supports all types of births, and give helpful tips and sugestions to partners and care givers. As KG Hypnobirthing teacher I am here listen, to inform and act as a signpost to parents. I will talk through concerns that parents may have so that they know they have choices. Through the hypnobirthing techniques mothers will feel confident, calm, and well prepared to meeting their baby. You are likely to experience a more comfortable birth. Your baby will be more relaxed and alert and ready to bond naturally. Mothers recover more quickly from the birth. Fathers will have played a active roll in caring for their loved ones and they will bond as a loving family. The benefits to you are wonderfully noticeable, but to your baby it is the best possible start to have and beyond birth. Hypnobirthing does not promise a perfect birth but will give the best tools to achieve the birth that is right for you and your baby. KG Hypnobirthing is not a replacement for medical assistance or advice. KG Hynobirthing teacher Training course is accredited by the Royal College of Midwives. 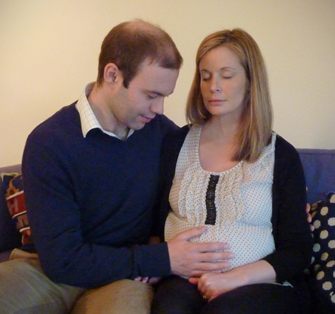 A KG Hypnobirthing course can be arranged at home at times that suits parents.